Protect the oceans, Protect ourselves. Our mission is to increase public awareness of the importance of whale and ocean health through research and public education. We work with our scientific partners to collect a broad spectrum of data on whales and ocean life. Ocean Alliance uses this data to advise educators, policy makers, and the general public on wise stewardship of the oceans to mitigate pollution, prevent the collapse of marine mammal populations, and promote ocean and human health. Ocean Alliance, Inc., a 501(c)(3) not-for-profit Organization, and was founded in 1971. This is a time of unprecedented innovation. Drones are democratizing science and profoundly changing whale research. They are empowering scientists, explorers and educators, and their full potential has not yet been realized. Our founder, Dr. Roger Payne, has been described as the father of modern whale conservation and research. 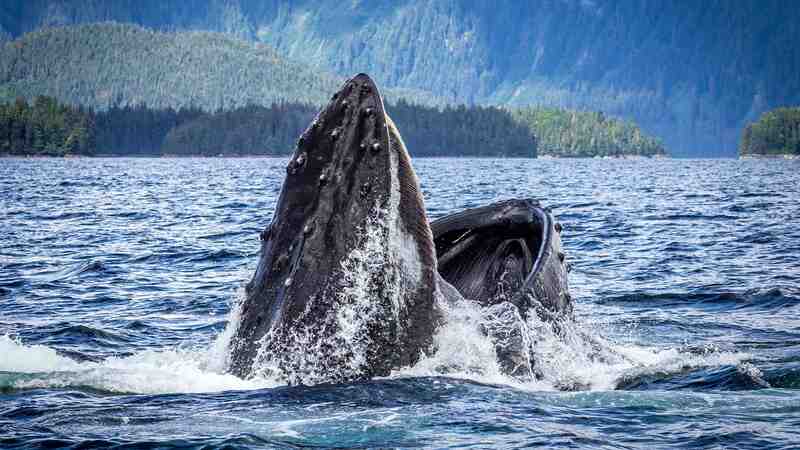 Learn more about Dr. Payne's work, including his discovery that humpback whales sing songs. With a generous grant from the Annenberg Foundation, Ocean Alliance purchased the iconic Tarr & Wonson Paint Manufactory in Gloucester, Mass. Here we are a catalyst for the new blue economy. Ocean Alliance was founded with the intention of protecting whales and their ocean environment through research and education. Whales have the capacity to capture people's hearts and minds — an empowered youth can change the world! From National Geographic to Martha Stewart Living, everybody loves the SnotBot story! Check out the extensive press list. SNOTBOT IS changing the way we do whale research — collecting critcal data in a noninvasive manner. A voice for the sea Follow us on our journeys around the world and into the world of whales. WE INNOVATE BY CREATING NON-INVASIVE RESEARCH SOLUTIONS TO STUDY WHALES WITHOUT HARRASING OR HARMING THEM.